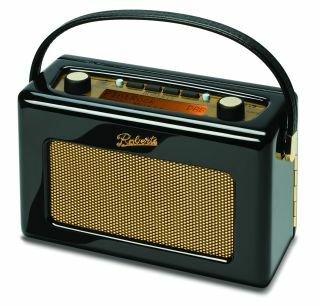 DRDB chief: "DAB+ is a red herring"
The Chief Executive of Britain's digital radio industry trade organisation has hit back at critics of DAB radio's technology and audio quality, claiming that the time is currently not right for a mass market roll-out of DAB+ or WiMAX technology in the UK. Tony Moretta, CEO of the UK's Digital Radio Development Bureau, is adamant that "there is a big future for broadcast radio," and dismissive of any perceived threat to digital radio from the growth of internet radio. "Internet radio listening has grown over the last twelve months from 1.9 per cent to 2 per cent of total listening. What is PC and broadband penetration? Around sixty per cent of UK homes? Compare that with current DAB penetration rates of around thirty per cent of UK homes, yet DAB makes up 12 per cent of total listening. Six times more than internet radio. People like listening to broadcast radio." The DRDB boss is not totally dismissive of the possibilities opening up from internet radio, praising Pure's 'Connected Radio' strategy and noting that "the great thing about DAB combined with Wi-Fi is the fact that it offers that 'return path' for listeners." The bottom line, for Moretta, is that broadcasting will always make sound commercial sense. "Some things are just always going to make sense to be transmitted as a broadcast platform, because it is a lot more economic for everybody – for the ISPs, for the broadcasters and so on – in a one-to-many way. "This message of "10,000 radio stations at your fingertips" is also a total red herring, because as our research has shown, radio listeners are not promiscuous with their listening. They do not want to be listening to twenty or more different radio stations. It is a gimmick. Unless you are an ex-pat and want to listen in to your favourite stations from home, or whatever. The key here, for the DRDB, is "that 'glance-ability' – you want to be able to glance at something, press a button and then consume it or listen to it again later at your leisure." Discussing the technical limitations of developing in-car internet radio, Moretta is also keen to stress that a nationwide roll-out of WiMAX technology is a long way off. "The problem with WiMAX is that you need to build a completely new national network. It is a cellular network, so the sort of numbers of sites needed are not TV and radio site numbers, they are mobile phone sites. So it requires a massive, multi-billion pound investment. Who is going to make that investment now? Typically, you would imagine it would be the telcos that would make it, but they are concentrated on making more and more use of their 3G networks aren't they?" Some recent critics of the UK's digital radio industry have pointed out that the technically superior DAB+ technology is being introduced in other countries, such as Australia, whereas the focus in the UK is still squarely on DAB. "DAB+ is a complete red herring at the moment," says Moretta. "It is not particularly a different technology. It is like with anything, if you bought a PC eight years ago and you buy a PC now, you are not going to buy the same technology as you had back then." "The reason why the Australians, for example, are using DAB+ is because they are launching digital radio now. They have no history, no legacy of DAB out there. DAB+, like anything else, if you are using the latest codec, it gives you some technical advantages. And while he agrees that DAB+ offers "a more efficient exploitation of radio spectrum, so you can get more on it" and "better audio quality if you use the same capacity" Moretta is still adamant that "the reality is that the vast majority of people are not that bothered about the audio quality."